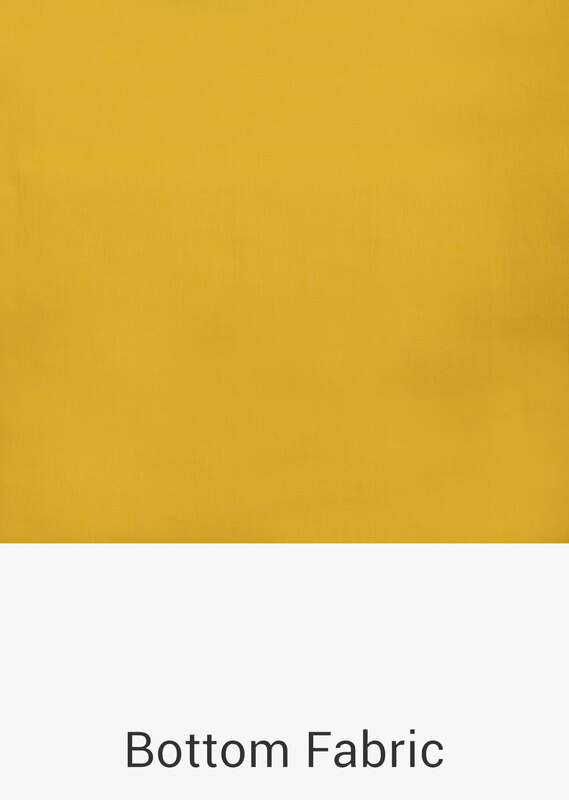 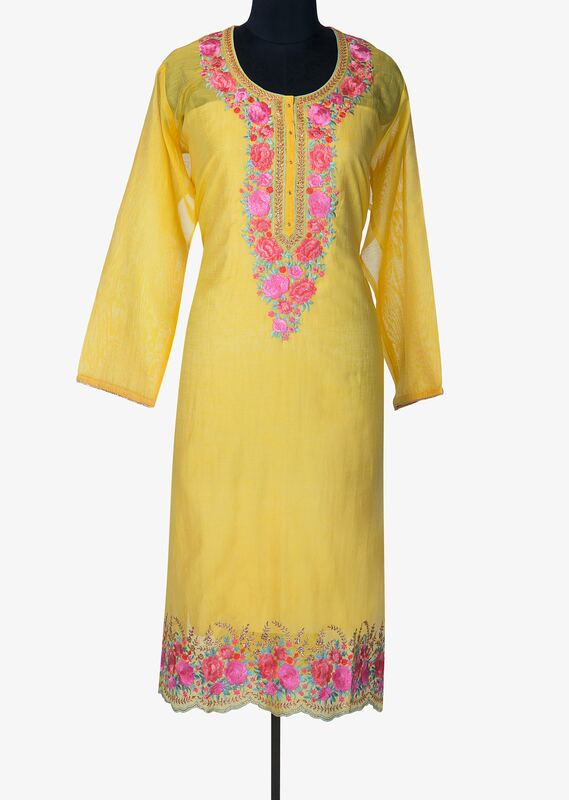 Yellow semi stitched suit in cotton silk. 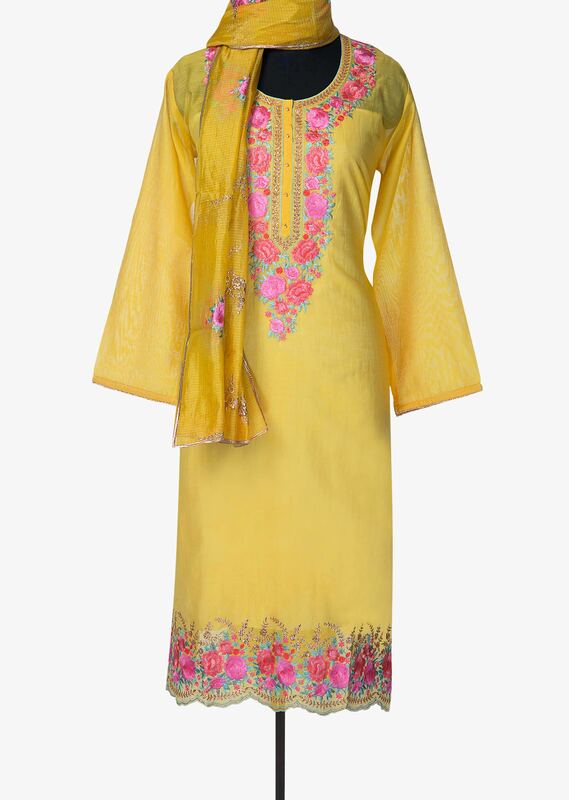 Neckline and hem are embellished in resham embroidery in floral motif. 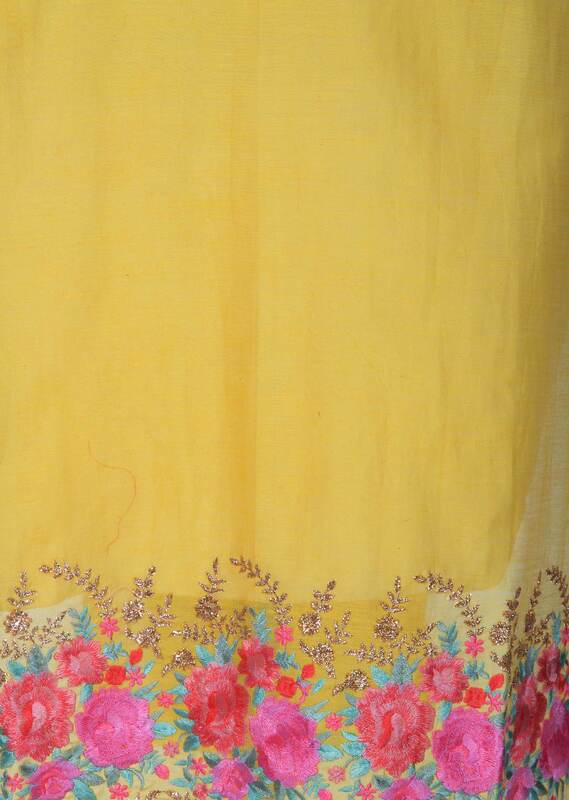 Bottom fabric is in cotton and dupatta in silk with gotta piping.